What is Xara Designer Pro ? All in one package to enhance graphic designs. Xara Designer Pro is a graphic design tool that provides multiple web design tools such as WYSIWYG, illustration and photo editing tool in a single package. This software has an easy interface with simple drag and drop options and also has zooming capability upto 25,000%. In addition, it has direct action tool which allows you to create designs in minimum time. It allows unlimited undo and redo using which you can experiment huge number of designs without hassle. This software provides live effects and photo manipulation feature that allows you to manipulate solid live objects and create an realistic design. It has a magic erase tool which is used to erase unwanted objects in a photos. 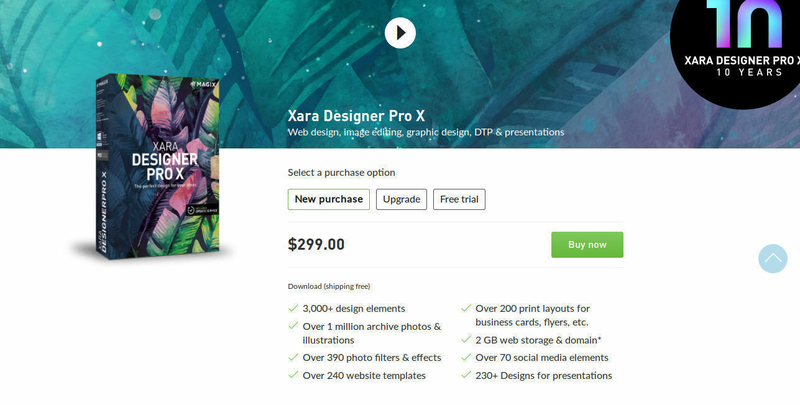 How much does Xara Designer Pro cost ? The pricing for Xara Designer Pro starts at $5.95 per user per month. 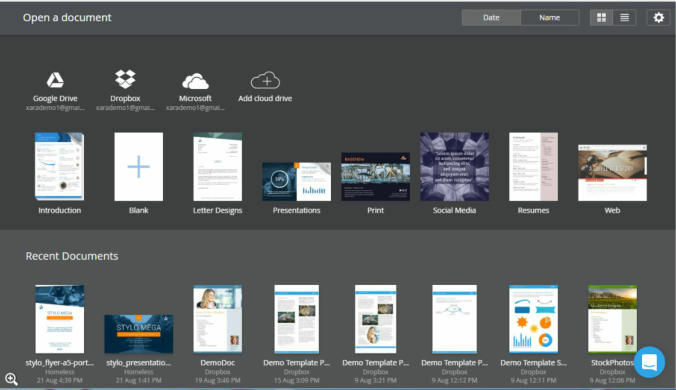 Xara Designer Pro has 3 different plans such as - Cloud Premium at $5.95 per user per month, Cloud Team at $12.95 per user per month and Xara Designer Pro X Desktop at $299.0. Xara Designer Pro also offers a Free Plan with limited features. Over 200 print layouts for business cards, flyers, etc. "Xara is one of the most powerful graphical tools out there!" What I like the best about using Xara, is it's fast image tracing, with perfect results, it's one powerful tool, with many functions, such as shadow tool, automatically back-ups, transparency tool and more! Very user-friendly feel more professional than other software I've demoed in the past. What I dislike the most about Xara, is I cannot use it directly on my macbook pro, which is a shame, since this is the perfect software out there and I cannot use it portable on the go. I hope to see it support MacOS in the future. I would say try it out first, before you buy. Much more user friendly than other design applications. Much more professional and especially about the cost. Not as compatible with Macs and specific apple design products such as iphoto etc. "Review of Xara Designer Pro"
There was not much not too like. I think there were a lot of features that made it somewhat overwhelming, but other than that, great tool!! Continue to use all of their robust features. Other products in the market place seemed a bit inferior and not as capable of developing visual images like Xara. Trying to design different kinds of product images for our segmented product line as well as developing material for other new product initiatives. "The best software to create impressive graphics"
Xara Designer Pro is a software that I like because it has a great graphics package, it also has a lot of marketing materials that help me in my business. This software may have a very simple interface but it is very easy to use, I really like that. It is also a super fast software and I love that. Xara Designer Pro puts you at your fingertips very beautiful templates and with very creative designs. I'm really struck by the variety of tools that this software has as well as the graphics options it has. I love the colors, the zoom and the pixels. The support and help team are very good. There's nothing that I do not like of Xara Designer Pro but there's something that disconform me from this software and it is the widget, this has problems in both the mobile and the PC that is very annoying. Mainly I recommend that you first download the trial version and after this start watching the videos that this software offers so you can have more knowledge about the operation and use of Xara Designer Pro. When you have any problems with this software, you can consult the support team without problems. In the same way there is the online community which you can visit. I also recommend that before you start a project in Xara Designer Pro you should be clear about what you are going to do and then proceed with the project. I have noticed that the websites of the company where I work have a better image as well as the advertisements published on the different websites and social networks. It can be noticed that the marketing and sales potential of the company has improved a lot. I find it very interesting to create the graphics to show my colleagues the evolution of the company. "Make the best graphics of all." The most that I love about Xara Designer Pro is the graphics package and all types of marketing materials. Its interface is very simple and therefore very easy to use, that is a feature that I really like about the software. The templates that it offers are incredible. I really admire that this app is very fast. It is support and help are very good. I am also very impressed with the great variety of tools and graphics options that it has. The zoom, colors and pixels are perfect. 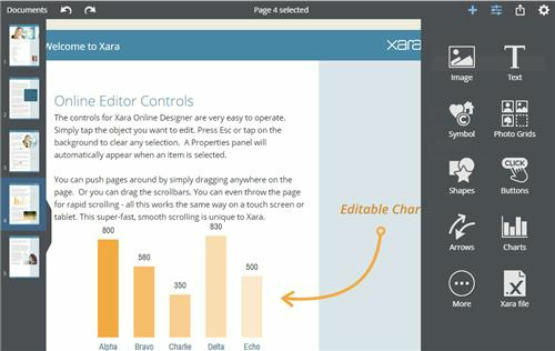 There is not something that I dislike about Xara Designer Pro, but there is something that bothers me and it is that it has problems with widgets that work both on the PC and on the mobile. I recommend that you upload the trial version and watch the videos that this software offers so you can have more knowledge about its operation. If you have any problems do not hesitate to consult the support team. 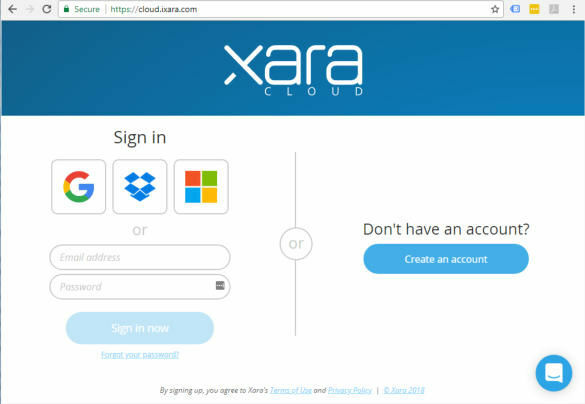 Another thing that I recommend to those who are interested in this software is that you need to have very clear about what you are going to do through Xara before that you start your projects. Do not forget to visit the online community. The websites of the company where I work has improved a lot as well as the ads that I can put on different websites. It has also greatly improved the marketing and sales of the company. We can make graphics to show the sales potential of our products. Vector-based graphic design and tool. Large array of drawing/graphic tools available with a good vendor eco-system for plug-ins and additional options. Great on-line community with tutorials, help and user support. Makes working with graphics and designing diagrams easy and fast. The zooming capabilities for pixel-perfect graphics is just great. The multi-layering tools and colour management is great also. Not much to dislike about Xara, which is why I use it after evaluating a whole bunch of graphics programs. Try it out and learn how vector-based systems work. 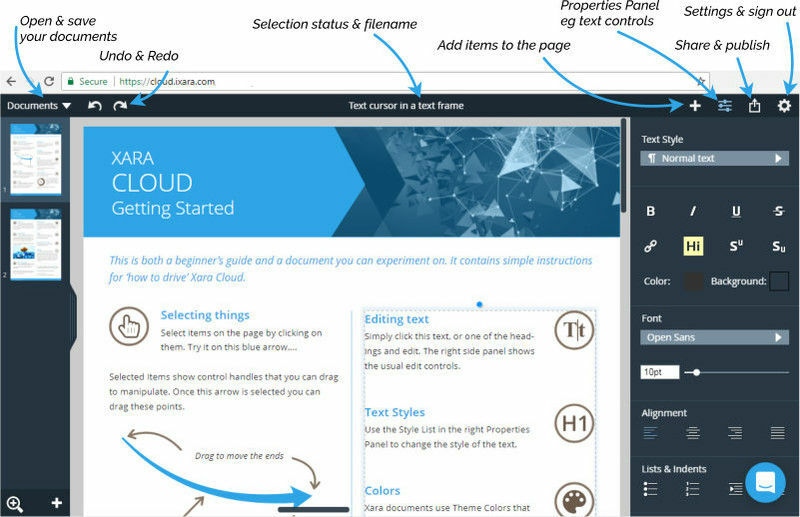 Explore the on-line community for examples, tips and tricks. Graphic design for software, marketing and sales. General graphics processing and image conversion. We make a lot of our imagery for our product documentation with Xara, and it makes it easy to create re-usable objects that are great for conceptual diagrams and technical overviews. Xara Designer Pro offers an excellent graphics package that provides; graphic design, illustrations, marketing materials (brochures, flyers, used as print or PDF), and simple website design. Once you learn the concepts the program gives you a lot of flexibility and is fairly easy to use. The design gallery templates provide a great starting place for many design projects. The program is fast! I have a small 2-n-1 laptop-tablet I use for one on one meetings. The laptop is not very powerful but Xara runs just fine. Learning, support and help via the available help, videos and user forum are very good. On websites, there are some issues with embedded widgets working on both desktop and mobile variants. Would like to see that improved. Direct support from Xara could be better. I usually get support from a user forum. 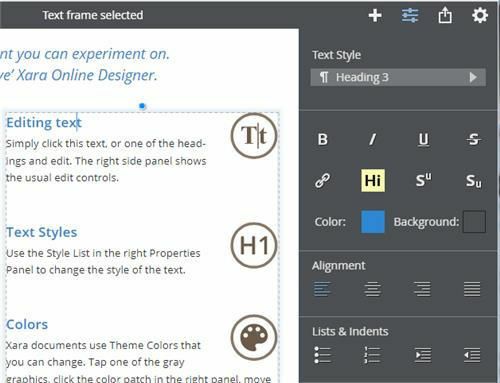 I would very much like Xara to add a good table tool similar to MS Word. I usually build tables in Word and bring them into Xara. Download the 30-day trial. Watch the instruction videos on the Xara website. If you have questions go to Talkgraphics.com forum. The advice you get there is usually good and pretty quick. As a website development tool, you can do very nice looking sites but it is not the right tool for complex sites with database backends, cms systems, etc. Make sure you define your project to determine what you need. I use Xara everyday. I have been using Xara Xtreme (now called Designer Pro) for 5 years. 1. It's fast and it can do image tracing easily. 2, It can automatically back-up. 4. 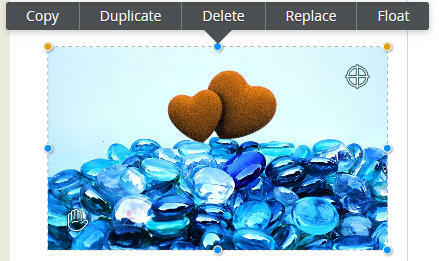 Shape cutting or merging can be done in short-cuts, can cut whole group of objects or image. 5. Fast and cool shadow tool. 6. Compatible with Adobe Illustrator. I can copy-paste simple objects between them. 1. It doesn't have smart guides like Adobe Illustrator. 3. No continuous duplicating like Adobe Illustrator. 4. "Convert line to shape" tool is not as good as "Out-line stroke" in Adobe Illustrator. 5. Cannot select similar objects. You can use it as a supporter for drawing simple objects then copy-paste to Adobe Illustrator. If you like to draw with it, just use the feather transparency tool and it'll get you to the new level. Illustration and design. Xara Xtreme can get me to draw a vector image in less than 10 seconds, saving my time and get my job done. Xara Designer is a vector based editor. It's not good just for web graphics, buttons, frames etc. but it's absolutely gorgeous for illustrations too. I use it for for cartooning, comics or T-shirt designs for example. It's supersimple to use and really fast to rendering big and complex scenes. If you want all-purpose and fast vector editor, there is no better way. Try it. I use Xara for illustrations, game graphics (HTML5, IOS,Android) or all designs. I would not change this piece of diamant software for another one. This program I can say so many things that I like that would not end. I love the workspace very clean compared to other design programs like Adobe that are very saturated. It has very basic tools, but they are large enough to create professional design ideas with nothing to envy of other programs. Creating 2D animations easily with export potential in Flash and GIF. I can open many formats such as: ai, psd, eps, svg, eps without losing valuable design objects. I can create presentations with a variety of transitions and the ability to add different formats such as: flash, gif, video, audio. I really like the Live Effect Tool is used to create effects in your vector formats like png and jpg images and texts with excellent finishes. I love the ease with which I think modern web pages without knowledge of web language. Upload the web created is so easy and also edit it, because it does not require external programs from Xara Designer Pro can create, upload and edit. It requires a lot of memory when working on different projects divided by tabs. Memory intensive effects when applied to a Live Effect Tools file. Stops working often saturation of memory capacity without warning.It closes unexpectedly when the control rods are unconfigured and corresponds reposition each where we like. No version in Spanish. Use this program for graphic design easily and without limits. A clean workspace and unsaturated programs like adobe. Use to create modern websites without knowledge of a web developer. Create professional designs as advertising posters, computer graphics, logos, calendars, diaries, business cards. Amazing 2D and 3D text. Animations, presentations to the institution where I work. Improvements damaged images with amazing results.